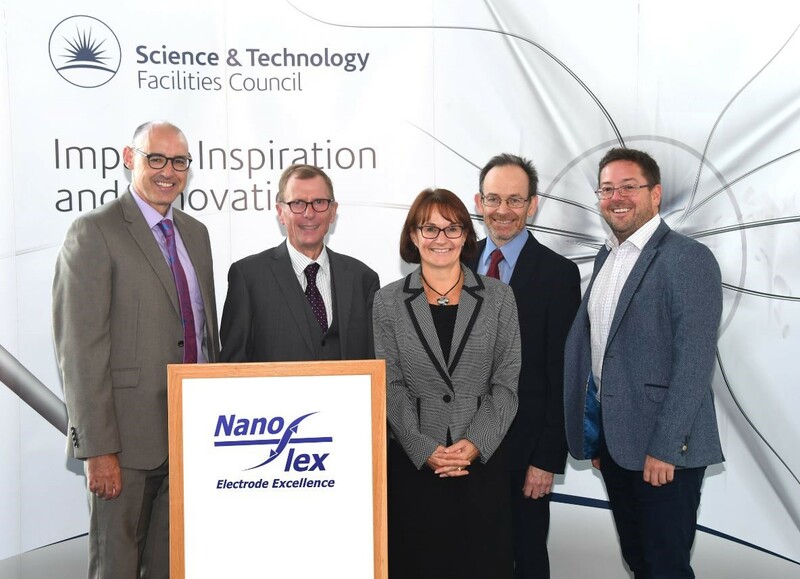 NanoFlex Limited, an early stage sensor design company, has secured £250,000 of funding from NPIF – Maven Equity Finance, part of the Northern Powerhouse Investment Fund (NPIF). NanoFlex is a sensor design company that has developed a patented diagnostic sensor technology. The business is based at Sci-tech Daresbury, and will be using the funding to explore new business opportunities for the technology to develop a pipeline of products. The technology is based on nanoscale electrodes that are capable of measuring a range of biomarkers present, such as glucose and lactose, in much smaller quantities than had been previously possible. As a consequence, it is possible to measure these biomarkers in body fluids, such as sweat and saliva, which means that non-invasive measurement methods are possible. NanoFlex’s technology will be capable of addressing both the healthcare and fitness/well-being markets. In the near future the company envisages that its technology could be used as a monitoring tool in the wound-care market and for the monitoring of sepsis; the company are already working with Alder Hey hospital.